Allerton is home to a group of mounds now called ‘Samuel’s Mounds,’ named after Robert Allerton’s father. Samuel’s Mounds consist of ten mounds thought to date to the Late Woodland Period, roughly 1,000 years ago. Mound groups like these were likely abundant up and down the Sangamon River pre-settlement, but unfortunately most mounds have been destroyed due to looting, agricultural practices, and development. 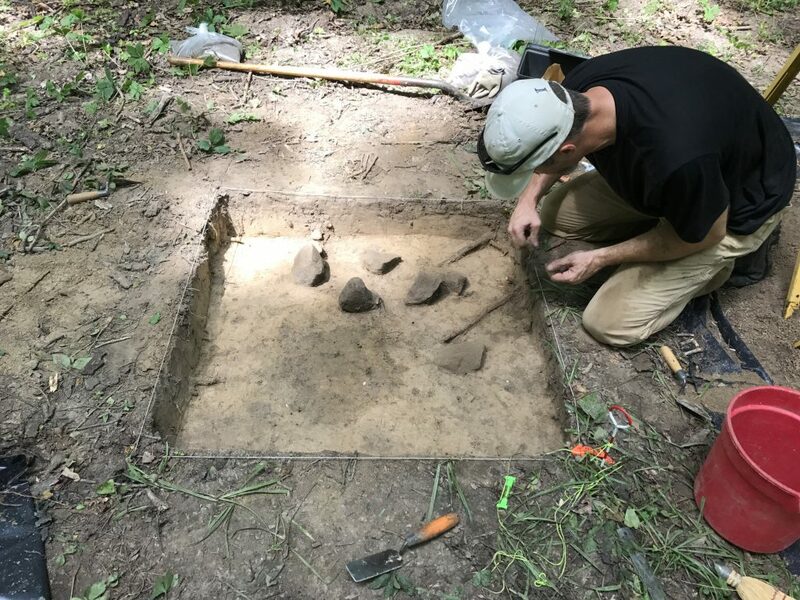 Archeologists from the Illinois State Archeological Survey (ISAS) were happy to find that Samuel’s Mounds are well preserved with only two having been damaged by historical looting. 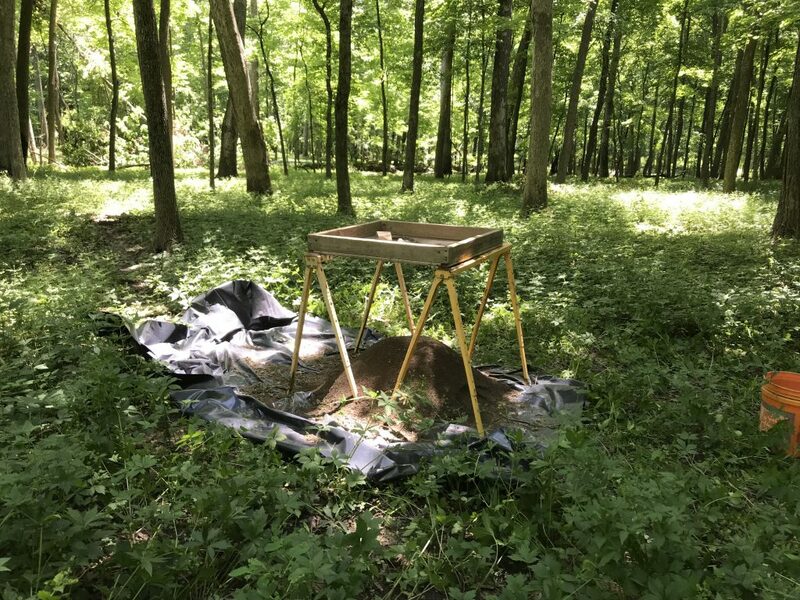 In 2018, Parkland College Archeology Field School explored Allerton Park for the second year in a row. A group of six students led by Dr. B. Jacob Skousen (ISAS) focused their attention on woodland areas near Samuel’s Mounds. One of the goals of the field school was to identify living areas associated with the Mound group. ISAS staff used non-invasive LiDAR, magnetometry, and soil restivity to locate nearby areas of interest, and then the field school students excavated a number of these areas. Excavated areas yielded a number of artifacts including projectile points, food preparation tools, and pottery sherds. The Field School will use Allerton again this year as they continue exploring the area surrounding the Mounds and the Mounds themselves. The Allerton Archaeological Project is a joint, multi-year research and educational effort by ISAS, the Allerton Park staff, the University of Illinois, and Parkland College to understand the long-term cultural history of this protected segment of over 1,500 acres of the Sangamon River valley, especially concentrating on the poorly known native history. As the project wraps up, keep an eye out for new interpretive signage along the McDonald Family Trail explaining the location and history of the Mounds. To learn about additional research projects being conducted at Allerton, click HERE.